Part of the magic of a piano is that they are always surrounded by art. But art has a way of summoning forth old communities, and of spurring the creation of new ones. This move was no exception. 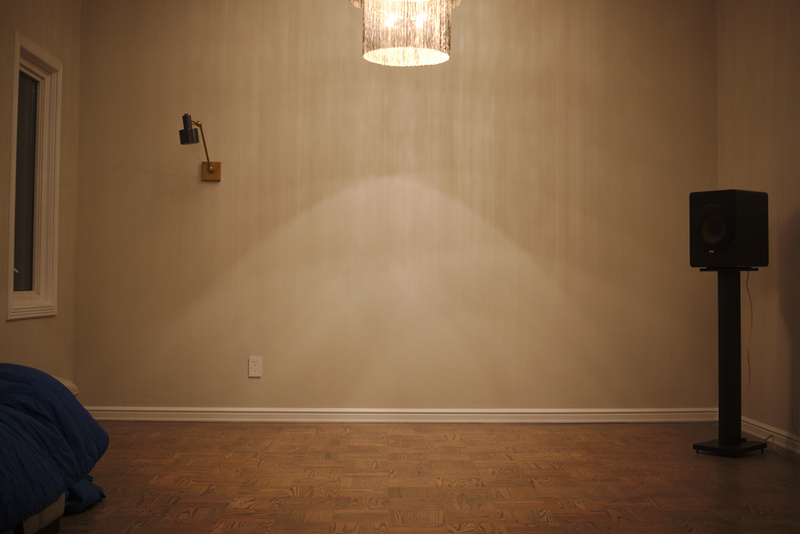 The night before the move, I took a picture of the space, because I wanted to see how it would transform. 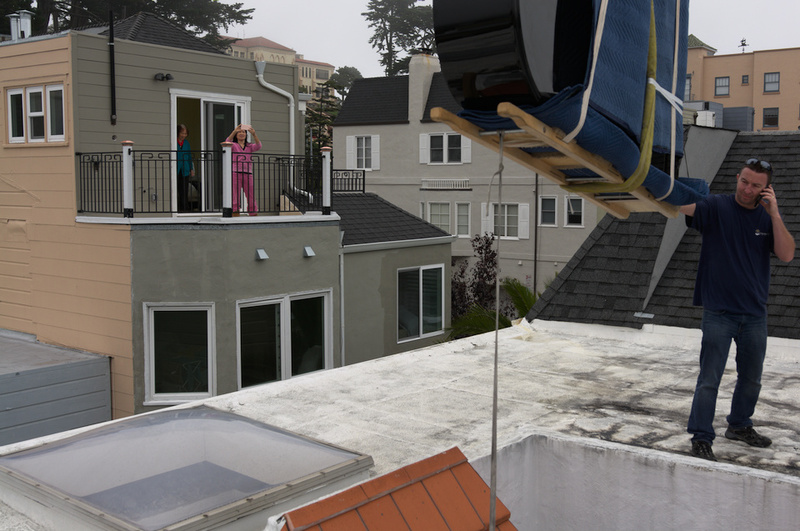 The spectacle of a flying piano drew neighbors out of their homes to watch, and on occasion, to smile. The simple sense that none of us had seen anything like this before, and that all of us were holding our collective breaths, created its own sense of community. Inside, John and Chiare (the piano's owners) and their friends and family were on hand to witness the installation. 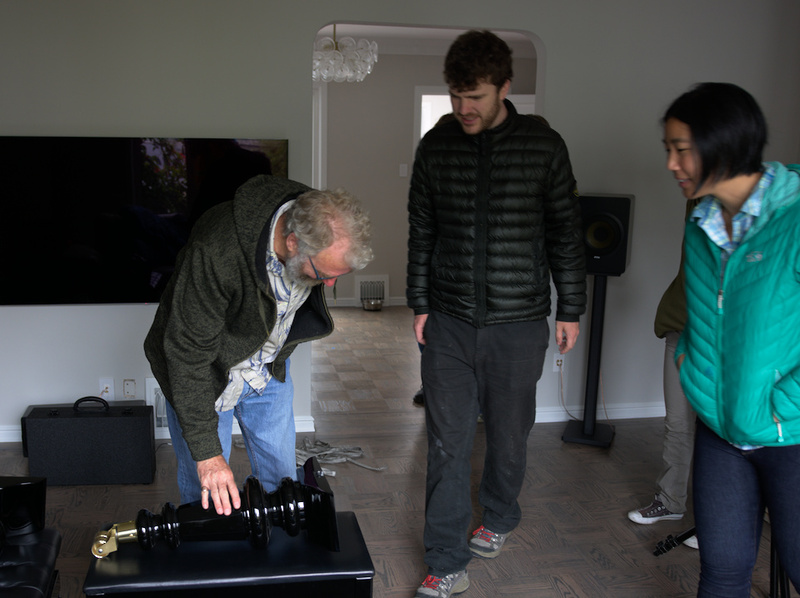 In the photo, John's dad inspects one of the legs of the piano as John and his friend Joanna watch. 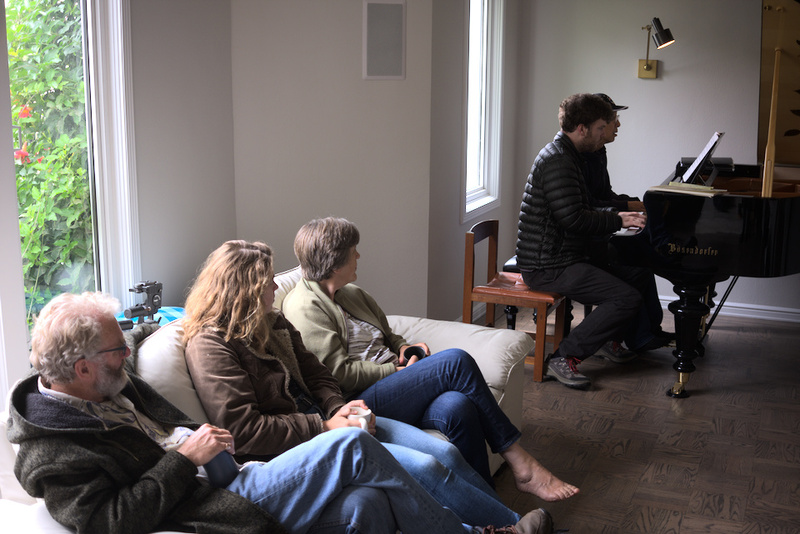 As the movers continued to reassemble the piano, I spotted a quiet moment with John, his parents, and (far left) his sister, Frances. Whereas John plays the piano and the viola, Frances' primary instrument is the harp. At last. 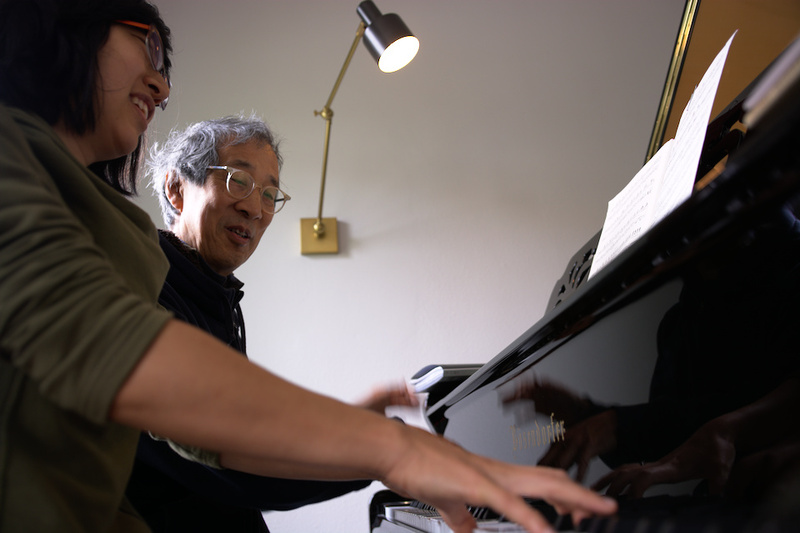 Chiare's father, also a pianist, was on hand, and he and John played some pieces together once the piano finally rested in its new home. With the piano in place, the layout of the room felt like it made sense in a way that wasn't quite there the night before. 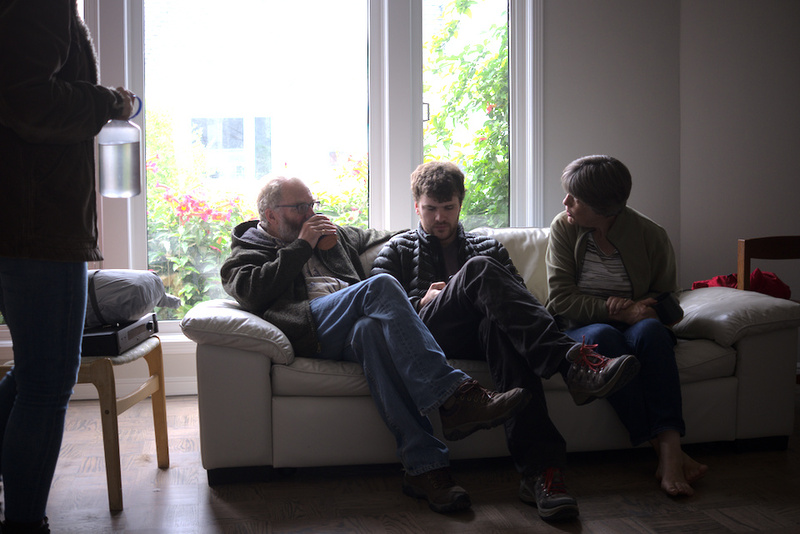 Afterwards, Chiare played a few pieces with her dad as well. Looking back on the move, certainly, the space was transformed. But the more fundamental shift was in the potential for this space to inspire and play host to all new kinds of memories. And to summon forth, and create, communities of its very own.